»Astro Perspectives»There’s a Yod today! Today, March 30, 2012, there is a lining up of the planets Venus, Mercury and Saturn that makes a pattern in the sky that we astrologers call a Yod, a Projection Figure, or Finger of God. 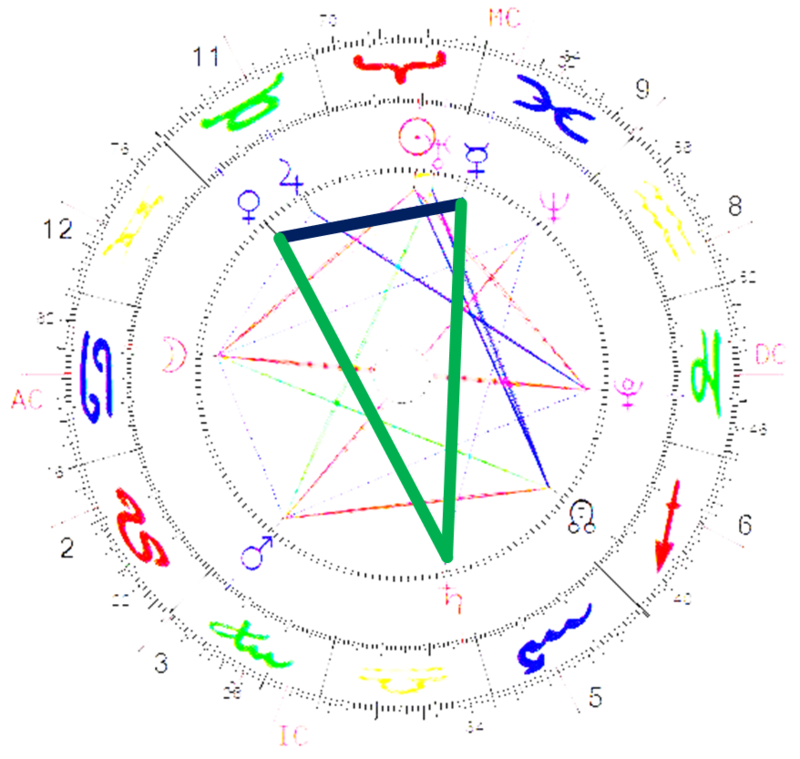 Some of you were born at a time when there was a Yod in the stars so you may know or have been told that you have one in your chart. For others this is a new concept, so it might be fun to learn a little about what it means. A Yod is formed when two planets, are 60 degrees apart in this case, Venus and Mercury, and both planets are 150 degrees away from another planet, and today that is Saturn. The shape of the Yod is a long triangle, a spyglass, or telescope or even the light coming from a projector. We have found that certain patterns of planets like this give rise to a particular type or flow of energy that is common to people born when it was present in the sky. So what is the nature of the energy we find when there is a Yod or Finger of God? Conventional astrology says that it creates feelings of being unsettled and also of vague longings, an indefinable desire. Perhaps one reason is that the 3 planets in a Yod lie in 3 different crosses. The crosses are Cardinal, Fixed, and Mutable. In today’s Yod we have Saturn at the tip or focal point in the Cardinal sign of Libra. Mercury is in the mutable sign of Pisces and Venus is in the fixed sign of Taurus. What this mixing of the modes can mean is that when a transiting planet activates the Yod, all 3 different types of motivation are set in motion. A person sometimes experiences this as being fully capable and present, but many times the simultaneous different urges are confusing. So when a Yod is activated, it can feel like you are at a crossroads, but not quite ready to make your choice as to which way to go. Think of the projection image – illusion versus reality, what do you really know? Where do feelings start and thoughts begin? The good news for all you folk with a Yod in your chart is that you will have arrived at the crossroad just when you were supposed to and you will find that you do move forward quite effectively, in spite of your uncertainty. 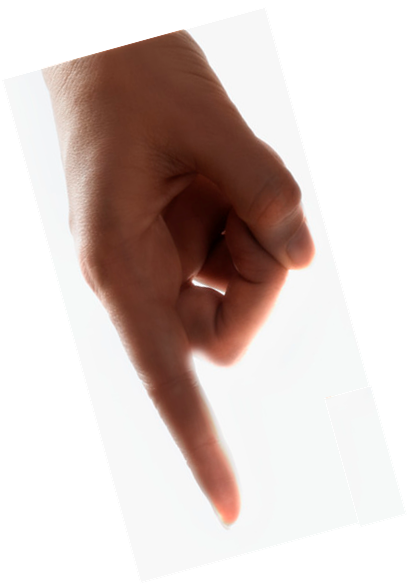 Perhaps that’s where the finger of god image came into being, as you end up saying: “I don’t know what made me choose that…. But it was the right thing to do.” Yes, it can feel like divine guidance or the hand of providence. These 150 degree aspects are rather special. They are sometimes called “inconjuncts” and are integrating or consolidating aspects. They act like radar, helping you gather information from your environment. You may not even be conscious of the learning or knowledge you are picking up until the time comes when you need or want to use it. A small example: a child who has parents who are musical might figure out how to play the piano on his own, because he has been exposed to musical principles all his life, even if they were not explained to him. From this, you can see that the Yod in a birth chart can be very spiritual. There can be a blurring of the outside world and your inner being. When your thoughts and feelings merge and you’re not sure which is which, this is your intuition at work! Thinking back to the crossroads example, you might not be aware just how ready you are to make your decision or choice, but in reality, you are prepared. The shortest side of the triangle, opposite the focal point can be important too. This would be where the lens is in your telescope. It is where the image is actually reflected. When this area is activated by transits or another person, insight and illumination often result. Such an Ah-Ha! Can also feel like a wonderful gift from the universe. So, what about the current Yod? Can it affect you? Absolutely. If transiting Mercury, Venus, or Saturn in this configuration pass over any of your planets, you might be able to leverage that energy. Be on the lookout for those wonderful moments of clarity or the points at which you know you have to press on even when you are uncertain or feeling insecure. It could be the Finger of God. For those serious sky watchers out there, watch the transits for any Yod that transiting planets might make when combined with planets in your chart. These are moments worth looking out for as they are bound to be memorable, and seeing the connections in your chart makes them all the more meaningful. You can also look and see if the placement of planets in another person’s chart either make a Yod in your chart, or vise versa. This can be a sign of some complementary traits between the two of you. It is said that Bonnie and Clyde had a joint Yod, as did the Duke of Windsor and Wallace Simpson and the famous couple, Liz Taylor and Richard Burton. Remember, the house and sign of any Yod will tell you more about the decisions you face and your clue to action lies in the pointy end of the Yod!